For the Valentine’s Day party at school this year, I wanted my son to have a very unique and fun container for all of his Valentines. 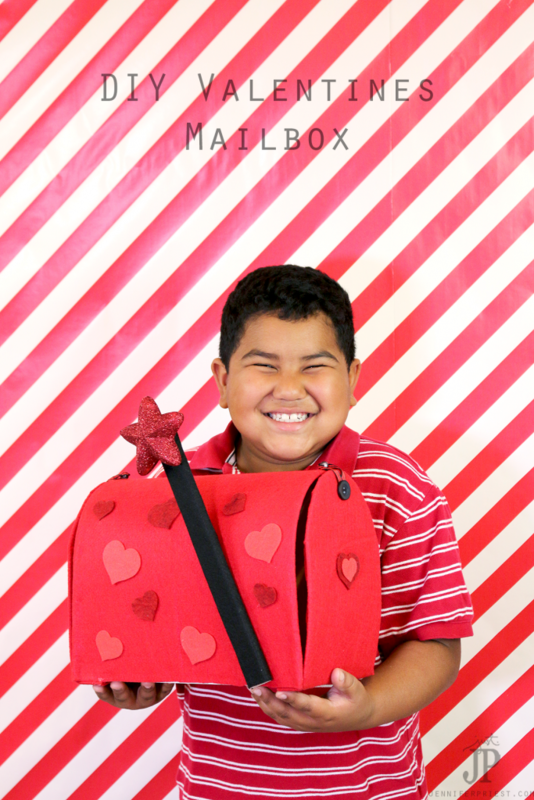 The teachers actually call these Valentine holders “mailboxes,” but most of the time they look nothing like mailboxes. Each kid sets up the mailbox on their desk and then everyone goes from desk to desk, depositing their Valentines into each mailbox. A real mailbox is too heavy to bring to class and the ones I’ve seen at dollar stores are too small. 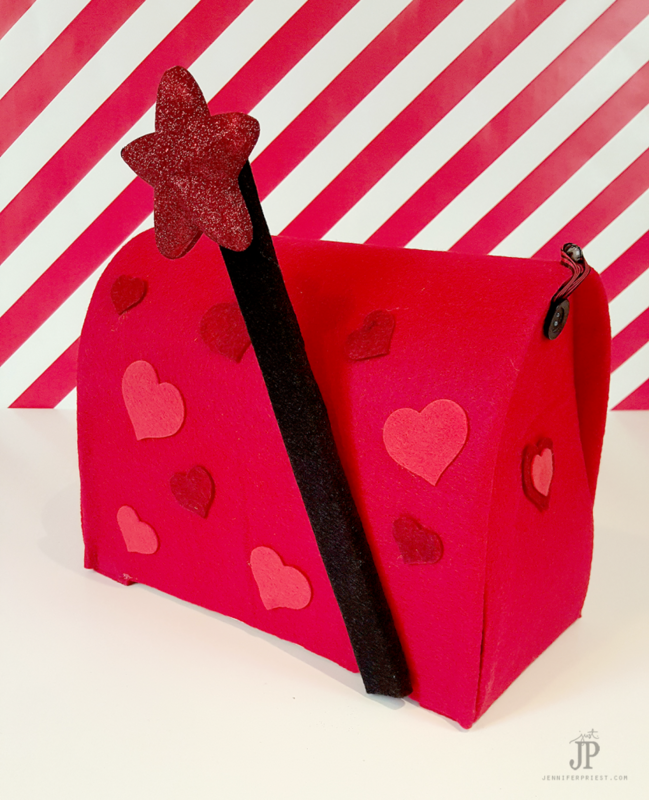 I created this easy-to-carry, lightweight DIY Valentines Mailbox with Smoothfoam! A Smoothfoam sheet as a base gives this project strength and durability, but makes it lightweight enough that the kids can carry it to school and home, no problem. Customize these DIY classroom mailboxes with die-cuts, glitter, and more. The entire mailbox is built around the 6″ x 12″ Smoothfoam base. 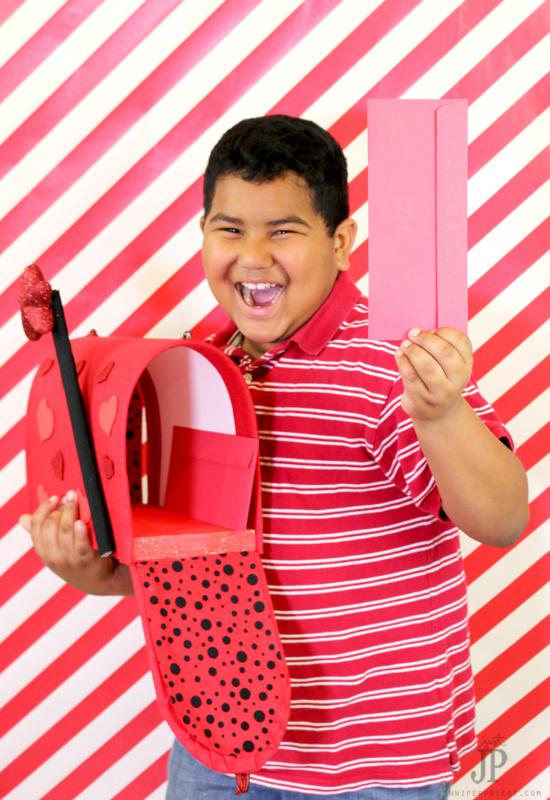 Watch the video to see how to create this fun, desktop mailbox for Valentine’s Day! 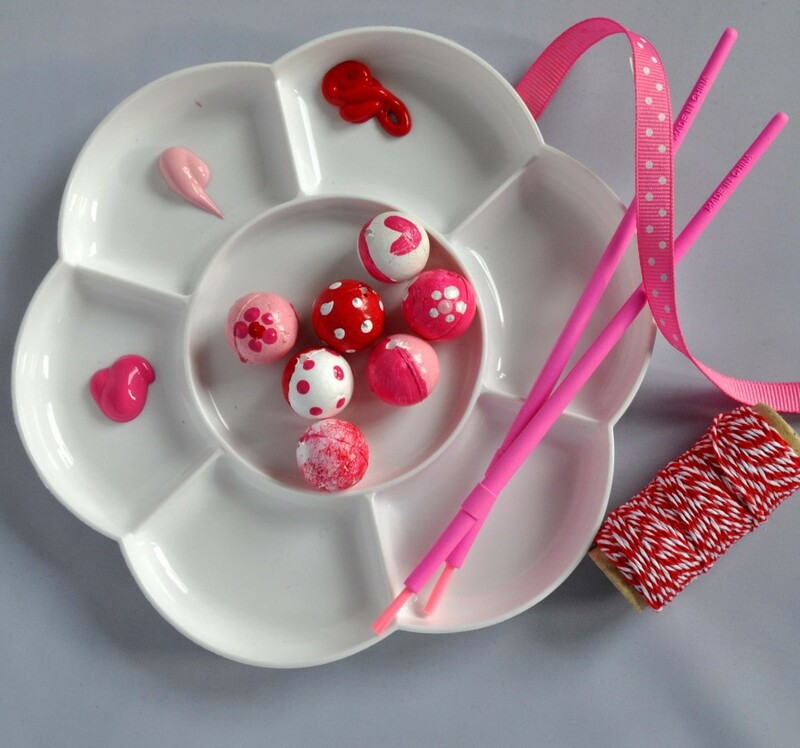 Use it as a centerpiece or decoration until the Valentine’s party at school. For more projects like this, check out my blog at Just JP. Valentine’s Day is a favorite of mine! But I find that it comes and goes too fast and I never seem to accomplish everything I want to before the day arrives! I found some (almost) vintage tissue paper in my stash. It is a colorful pattern by Mary Engelbreit. 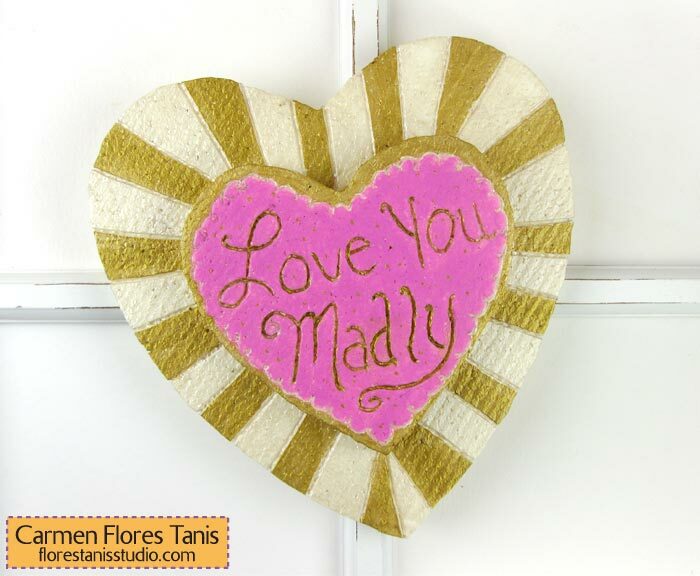 I love the cheerful colors and thought this Valentine’s Day heart decoration would be one way to keep some of it around for even longer. Hope you enjoy the rest of January and have an awesome “hugs & kisses” February – cheers! 1. Wad up a sheet of tissue paper into a ball, then smooth it back out on a flat surface and tear off any straight edges. 2. Carefully cut a heart shape out of the Smoothfoam disc with the hot or serrated knife. 3. Brush decoupage medium to the heart (insert the skewer into the bottom edge for a handle) and press sections of tissue paper it into the medium. Cover the front, back and sides. 4. After the medium and tissue is dry, brush a top coat of medium to seal. 5. Repeat for the cube using a contrasting tissue paper. Trim away any excess tissue paper from both pieces. Push the bottom of the skewered heart down into the center of the cube. 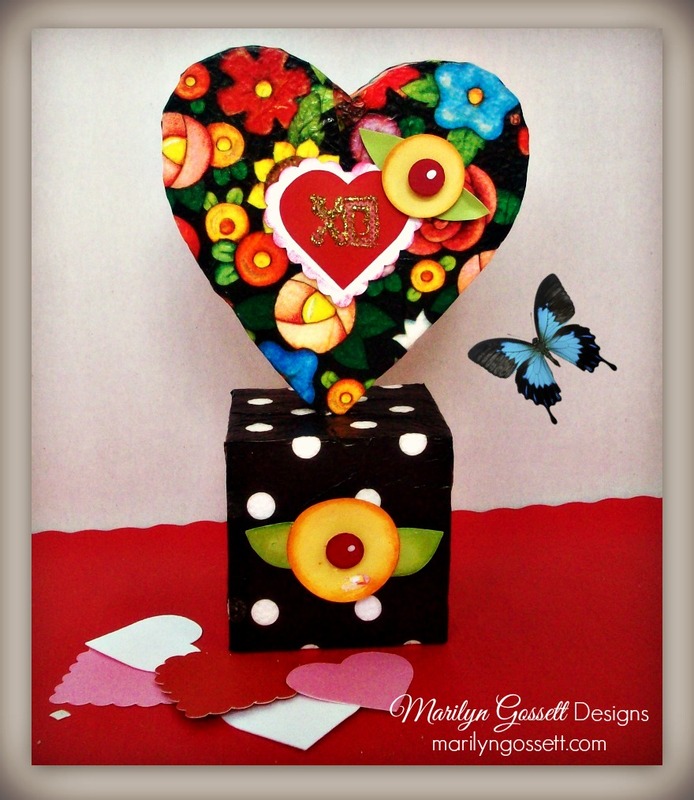 Here is a variation of this DIY Valentine project using a larger Smoothfoam heart and cube. 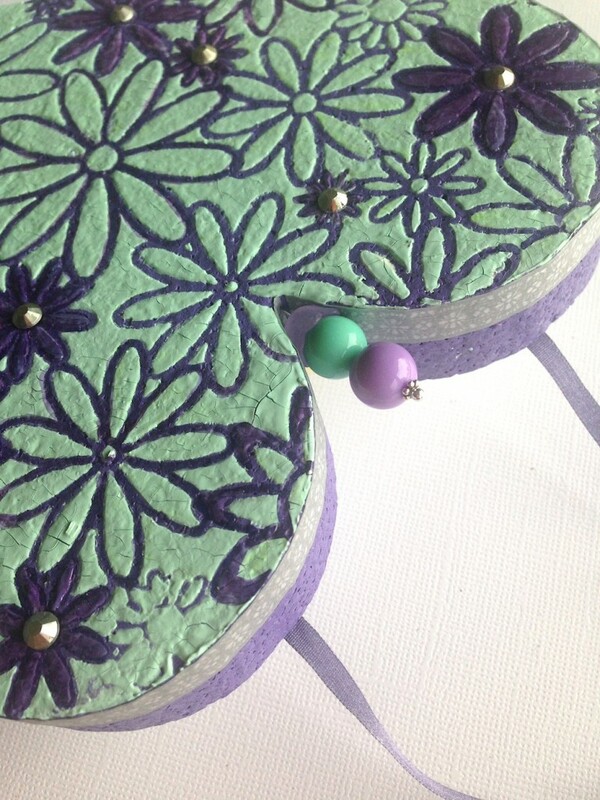 The chocolate embellishments are 1″ Smoothfoam balls cut in half, then painted and embellished with two paper circles and a rhinestone. 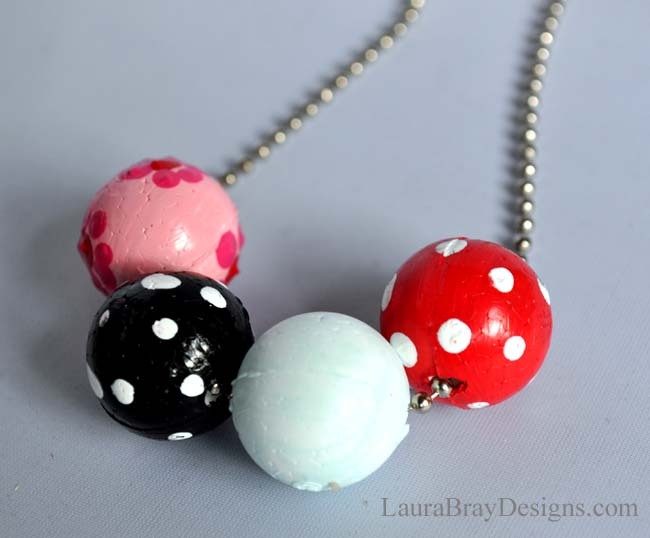 Everyone knows children love to use beads for necklaces, key fobs, and all manner of projects, but have you tried to paint wood beads with kids? It’s messy, right? The beads roll around (inevitably after they have been covered in a thick coat of paint). We won’t even mention how messy fingers get either. 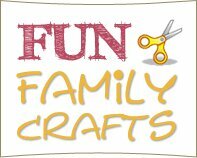 I believe kids crafts should be fun for the kids and not make parents crazy and that’s where Smoothfoam beads come in. 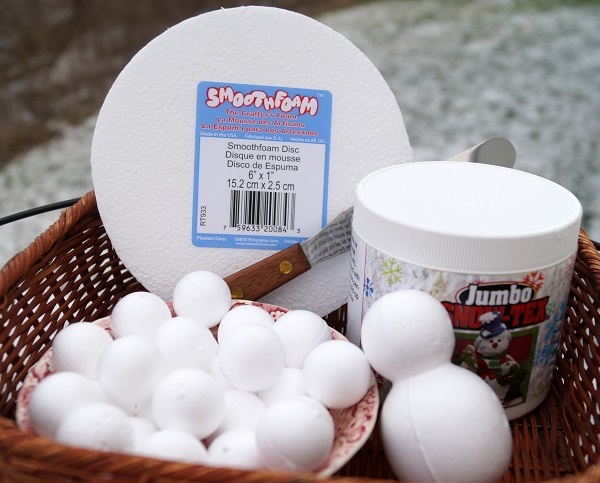 If you use 3/4″ Smoothfoam balls as beads, you can stick a toothpick into them to hold while painting and poke into a block of Smoothfoam while drying to eliminate the mess. Carefully push a hole straight through the center of each ball with a skewer. This step is best done by a parent for safety reasons! Once you have a hole, stick a toothpick inside the ball. If you have small children, make sure the end that the child will hold is flat, not sharp! Hand the “bead” over and let the child go crazy painting it. 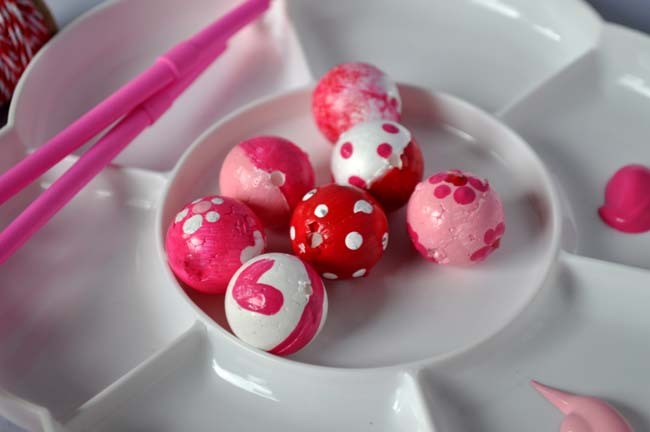 Encourage them to make designs like polka dots by using the end of the either paint brush handle. When the beads are completely dry, use them to create beautiful necklaces or almost any other craft that requires beads. Make a big bag of them, all at once, so always have a good supply to use in your crafts. 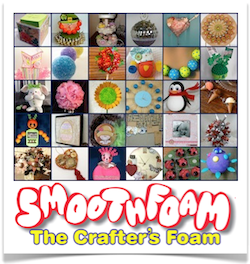 Bonus – Smoothfoam beads float! The best kind of cupcakes for your diet are the Smoothfoam kind. These cupcake crafts have no calories and will last forever – perfect for Valentine’s Day and your New Year’s resolutions! 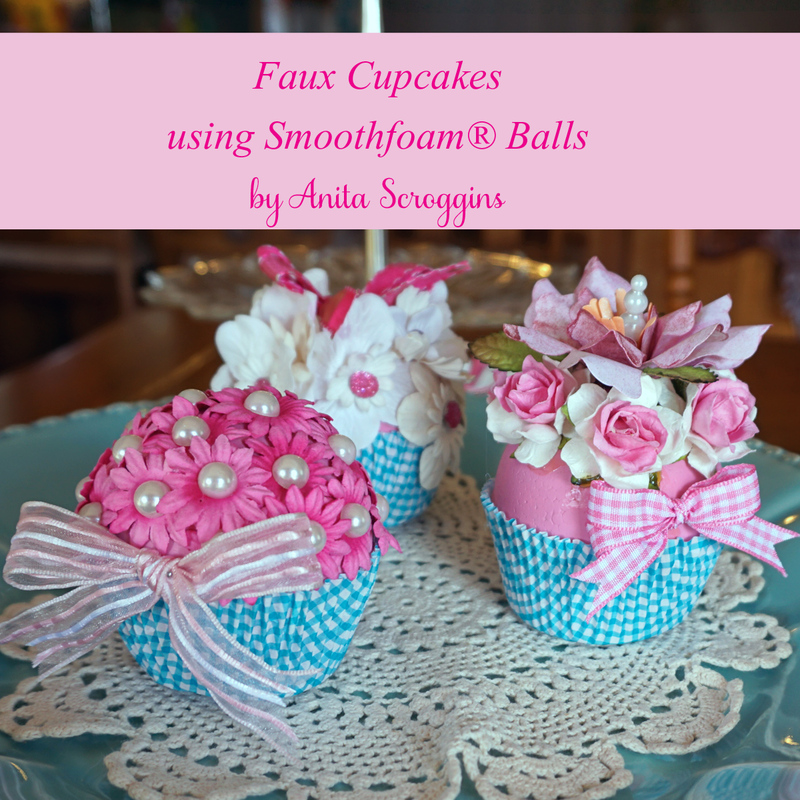 Learn how to make faux cupcakes below. I started by painting my Smoothfoam balls pink. I like to use toothpicks to help with this step – sticking three picks in each ball (like the legs of a stool) gives you something to hold on to while painting AND lets the ball stand up to dry. 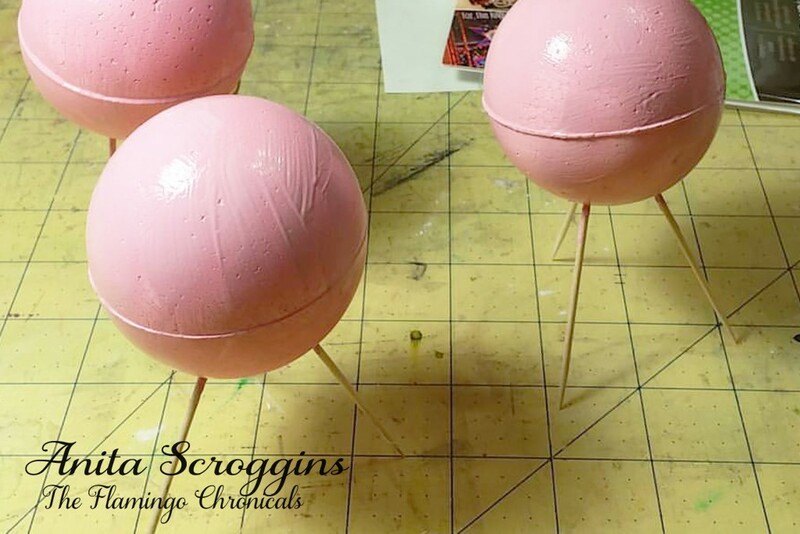 After the paint dries, remove the toothpicks and glue a cupcake liner to the bottom of each ball. Decorate with paper flowers, ribbons, pearls and rhinestones. I like to use small floral pins to hold the ribbons on my projects so that I can change them out for different occasions or seasons. Valentine’s Day will be here before you know it – so here’s a fun, easy way to make a giant Valentine’s heart for your sweetie. I used pink and gold, but you can change the colors to any other color combination. If you’re not quite to the “madly” stage with your honey, you can change the wording in the center to a phrase such as “You’re Sweet” or “Be Mine” – just like everyone’s favorite candy conversation hearts! 1. 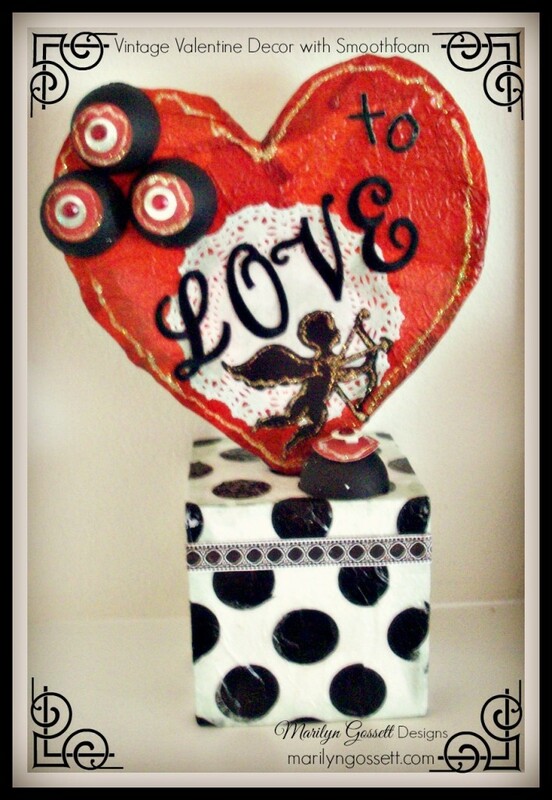 Click here to download my heart design*. Because the pattern is so wide, you will have to print it on two pages, then cut and tile them together. 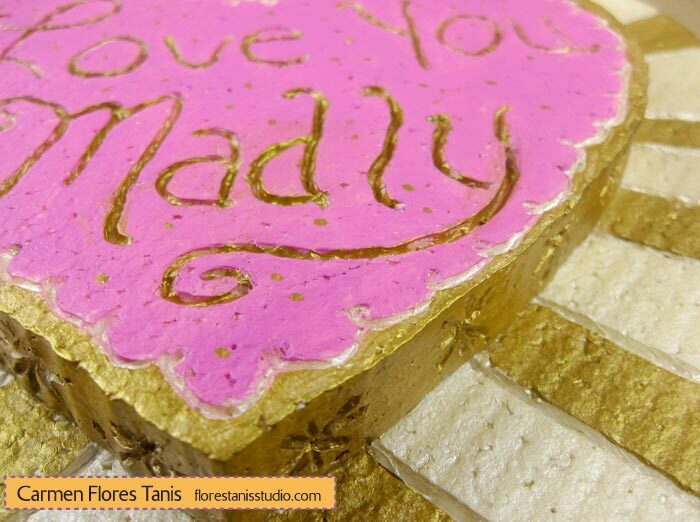 Trace the hearts onto the Smoothfoam sheet with a pencil. 2. 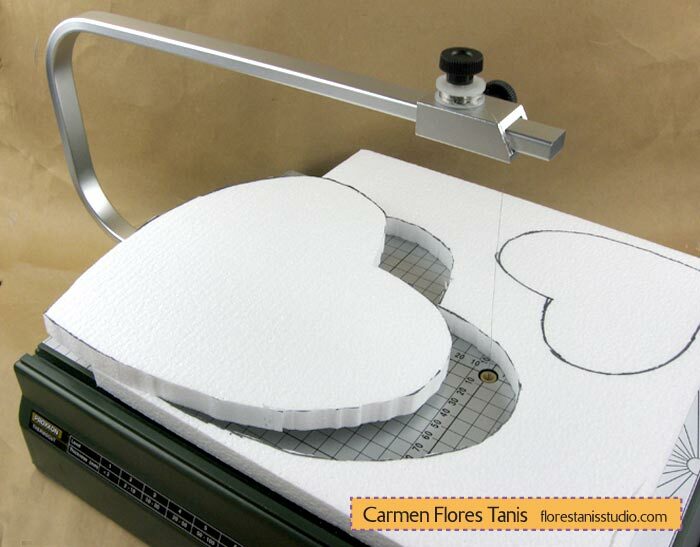 Carefully carve out the Smoothfoam sheet with the tabletop hot wire cutter. 3. Glue the smaller heart onto the larger heart. Let dry. 4. 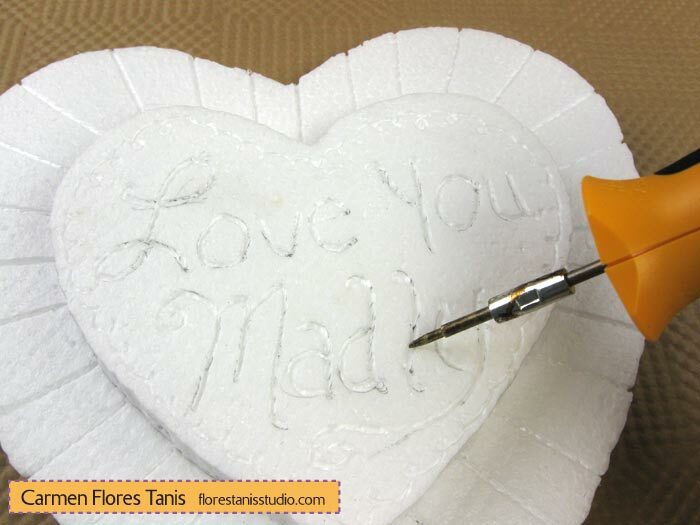 Use the handheld hot wire tool to engrave the details into the foam as shown. 5. Paint the front and back of the heart in champagne and let dry. Paint the alternating stripes and edges gold, and paint the center heart pink. Brush gold paint inside the wording to make the letters pop. 6. Glue a picture hanging hook to the back or display on an easel. I love getting to spend time around my creative friends – all of the Smoothfoam designers are so fun and inspiring. 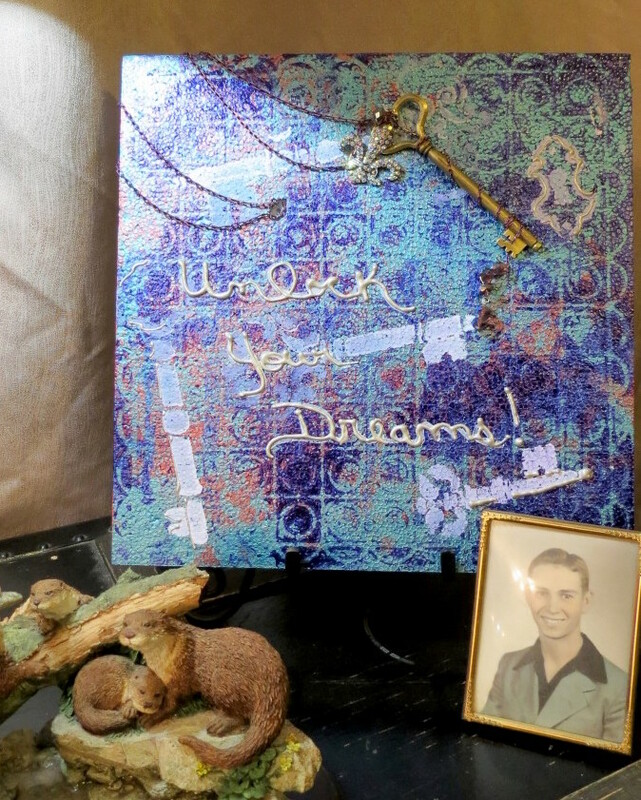 Today I am sharing a mixed media monoprint – unlock your dreams! I started by painting a base coat of color to the Smoothfoam sheet. I then spread a second glossy color on the Gel Press with a brayer and pressed the stencil on top. I pressed the Smoothfoam sheet on to the stencil/plate to make a monoprint. I repeated the process with several colors and stencil designs to create a varied background. 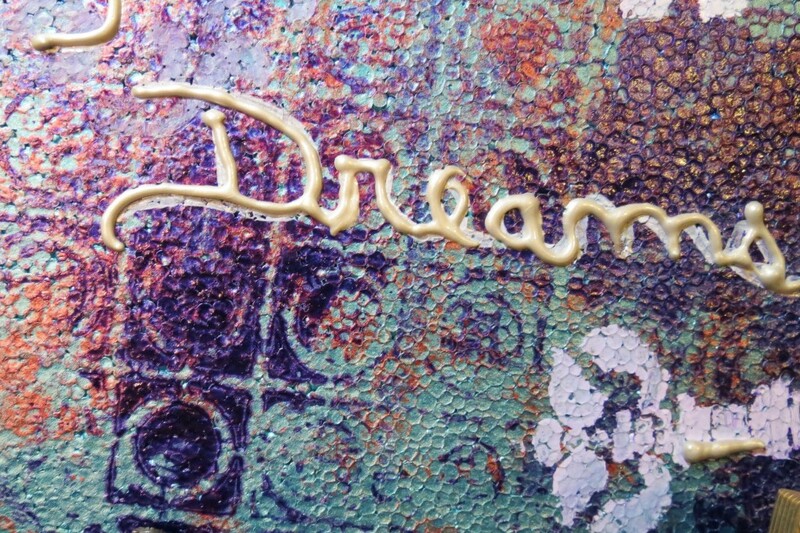 I stenciled some key shapes and wrote a sentiment on the surface with dimensional paint. I embellished my piece with some bling and a key on a chain. Smoothfoam is a great surface for so many techniques, and one that is super fun is stenciling with crackle paste! With Valentine’s Day coming up, hearts are in season, but who said they have to be pink and red? 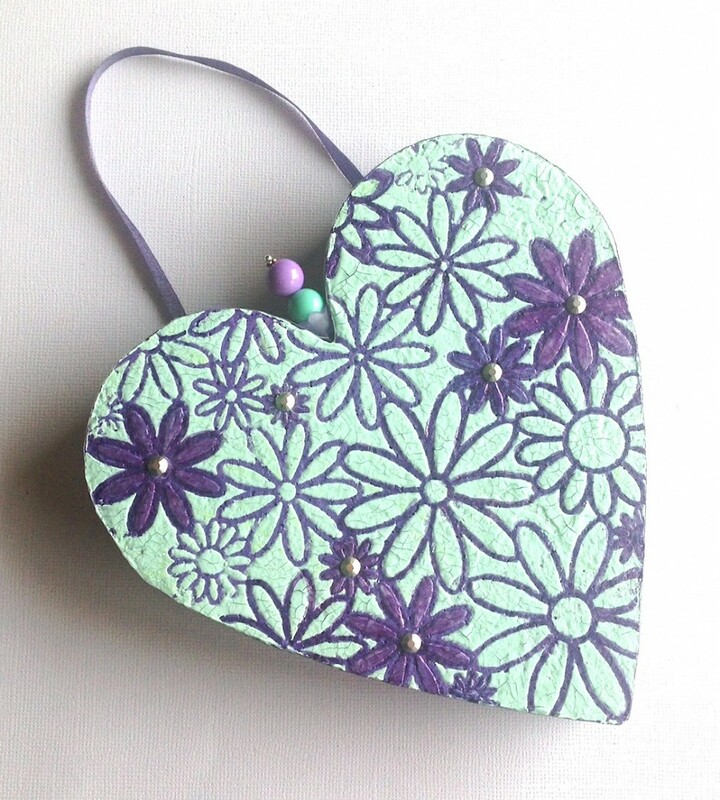 I decided to show my love with a little purple and mint green hanging heart decoration. Paint the top and sides of the heart purple, let dry. 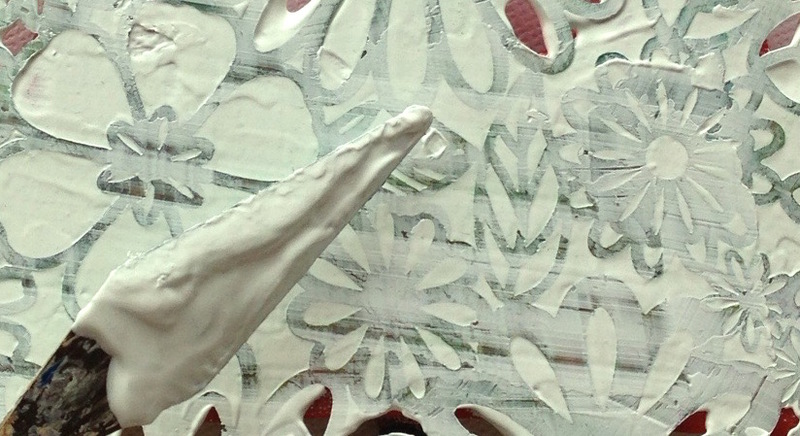 Mix a dab of mint paint into a heaping teaspoon of crackle paste to tint. Anchor the stencil on top of the heart with a few pins and make sure it’s completely flat. 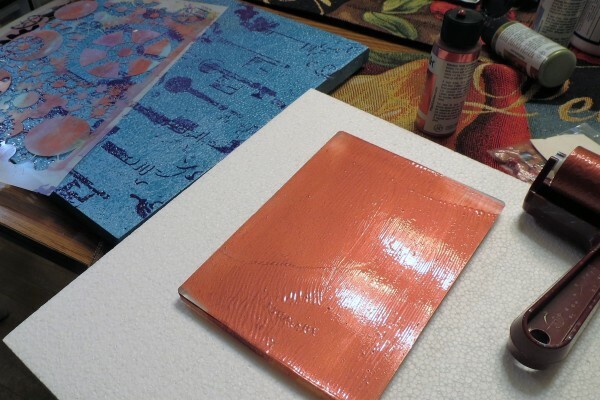 Spread the paste smoothly across the stencil with the palette knife. Carefully remove the pins and stencil and scrape excess paste off the edges of the heart. Let dry for at least a couple of hours. 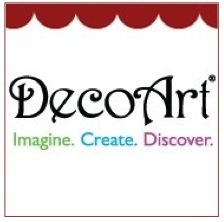 Use a paint marker to color in desired areas of the stencil design. Embellish with a few gems. 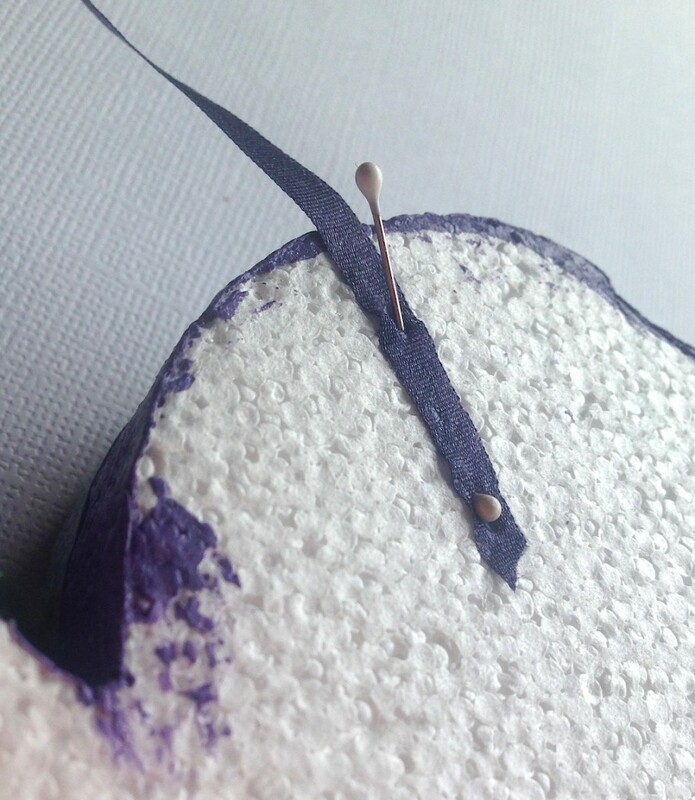 Place beads on the head pin and push into the top of the heart as shown. 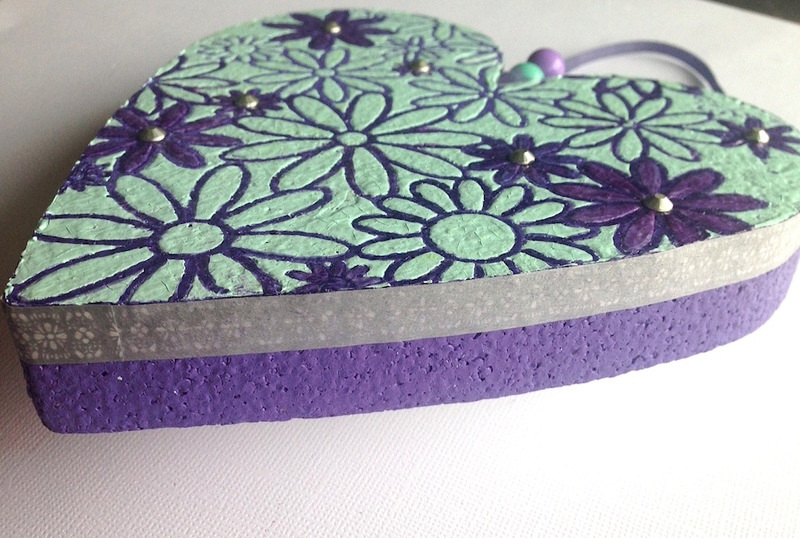 Press a long strip of washi tape all around the top edge of the heart to give it a more finished look. To hang, glue a ribbon loop to the back of the heart and secure with pins. 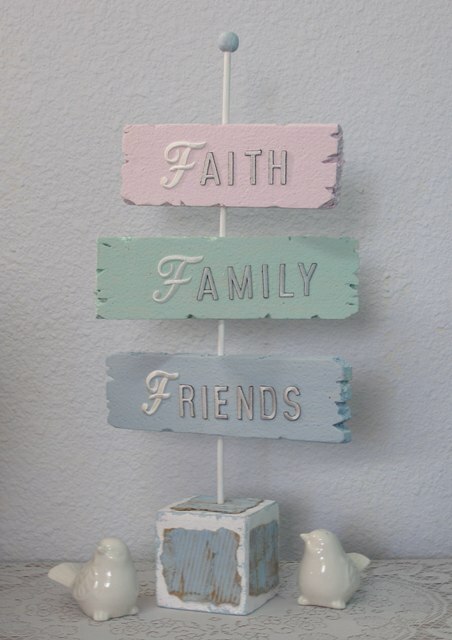 Create a shabby chic signpost with chalk paint and embroidered letters. 1. Cut sections from the Smoothfoam sheet with craft knife and metal ruler (each 2 ½” wide) at varied lengths – 7″, 8″ and 9”. Notch the ends randomly with the knife to look like torn, weathered wood. Sand along the sides to distress further. 2. Push a skewer into the center of each sign to use as a handle (this also starts a pilot hole in each sign for assembly later) and paint each sign a different color. Paint the Smoothfoam cube and the wood dowel white. Brush the edges of cube and paint the wood bead with a contrasting color. 3. Tear the corrugated cardboard into rough squares, smudge with paint and then glue a square to each side of the cube. 4. Glue letters to each sign to spell a word, let dry. 5. Use the skewers to push pilot holes through the center of each sign and then carefully thread the signs on to the dowel. Glue the bead to the top of dowel. Winter’s her – is it snowing where you live? 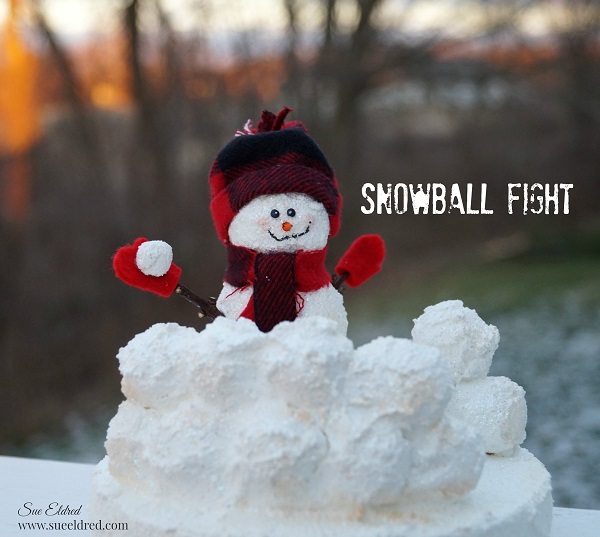 It’s time for some good old-fashioned fun – ready for a snowball fight? Cut the 2″ Smoothfoam ball in half. Cut the top off the rounded side of one of the balls. Poke two holes into the bottom of the snowman body using the craft pick. Break a toothpick in half, dip ends into craft glue and insert in holes. Attach the sliced ball onto the snowman body. 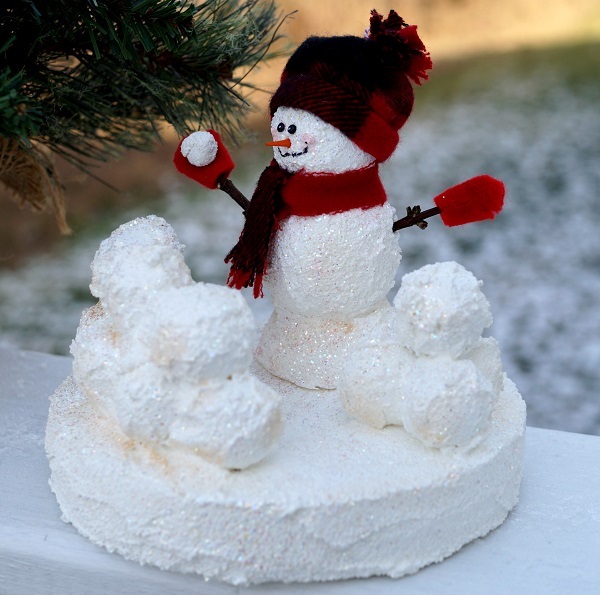 Apply Snow-tex with palette knife over the newly formed snowman and the 6″ disc. Allow both to dry fully. 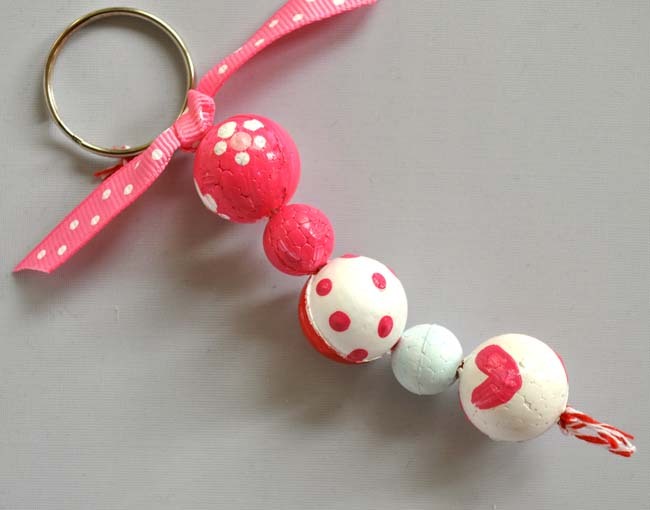 Poke holes into the 1″ balls with the craft pick. Insert toothpick halves with craft glue on the ends into balls. Build wall by sticking the balls together. Apply Snow-tex onto wall using the palette knife. Allow to dry. Create a scene by attaching the snowman and the wall onto the disc. Reinforce the pieces with toothpicks and craft glue. 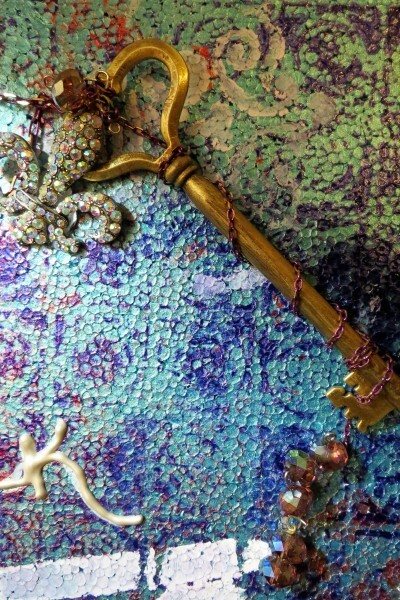 Paint all the pieces with Crystal Twinkles paint. Allow to fully dry. Add shadows to the snowman and snowballs by gently applying vintage photo ink with a stipple brush. Measure and cut fabric to fit around snowman head. Fold over and glue one of the long edges of the fabric to create a brim. Glue fabric ends together to create a tube. Tie top of the tube with a piece of string, cut excess fabric off top of the tube and fray the ends by making small cuts with the scissors. Glue to the top of the Snowman head. 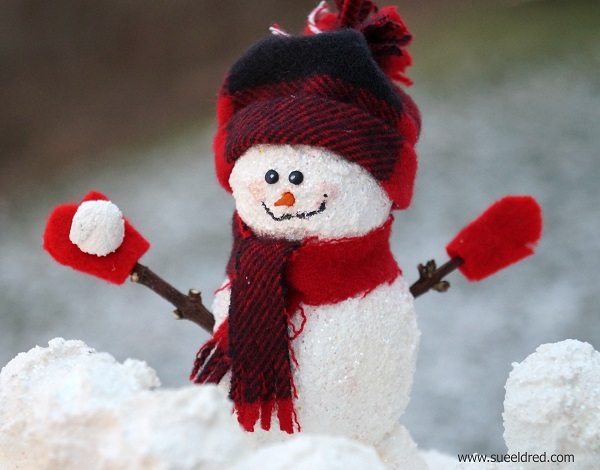 Add arms to the Snowman using small twigs. Warm him up with a fabric scarf and mittens cut from the fabric scraps. Use two small black micro brads inserted into the snowman face for the eyes. Paint the tip of a bamboo skewer with orange paint, cut and insert into the face for the nose. Add a smile to the snowman’s face using a extra fine black paint marker. 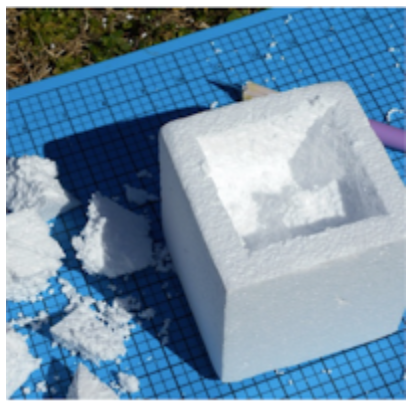 Make a small snowball using a small pieced of paper wadded up and covered with Snow-tex. Glue finished and dried snowball onto mitten. Christmas is over and now my mind is officially in THINK SPRING mode!! I am not a winter girl. I despise cold weather, snow, dark days…all of it. Even with the recent warmer-than-normal weather here in North Carolina, I’m already ready for some HOT sunshine and time on our porch and in my gardens. 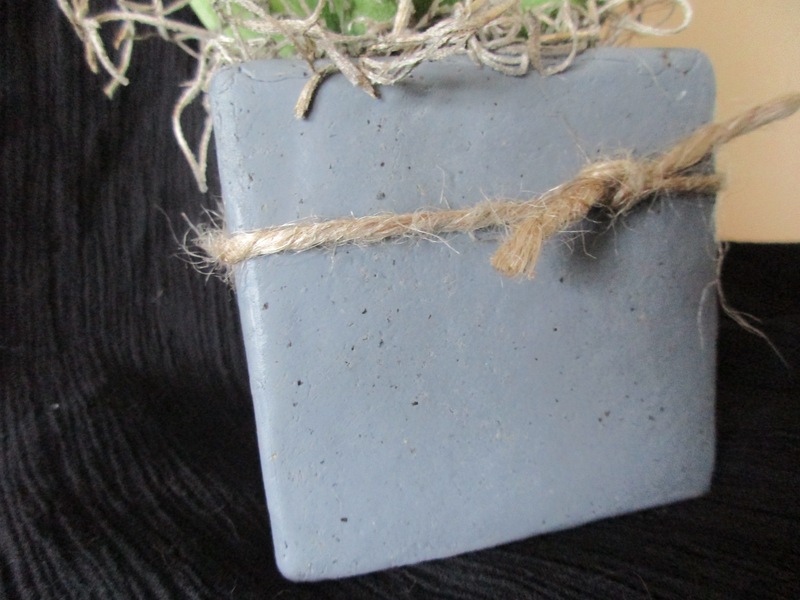 I decided to make myself a little faux concrete succulent planter to get me through until I can get into my real garden. Once spring finally arrives, it will move to my porch for display. Learn how to create this and other succulent crafts with Smoothfoam supplies. 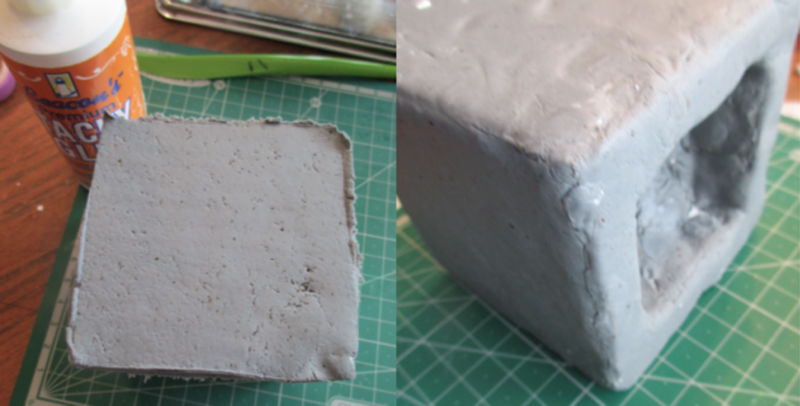 Carefully use a craft knife to hollow out one side of the Smoothfoam cube, leaving about 1/2” on all sides. 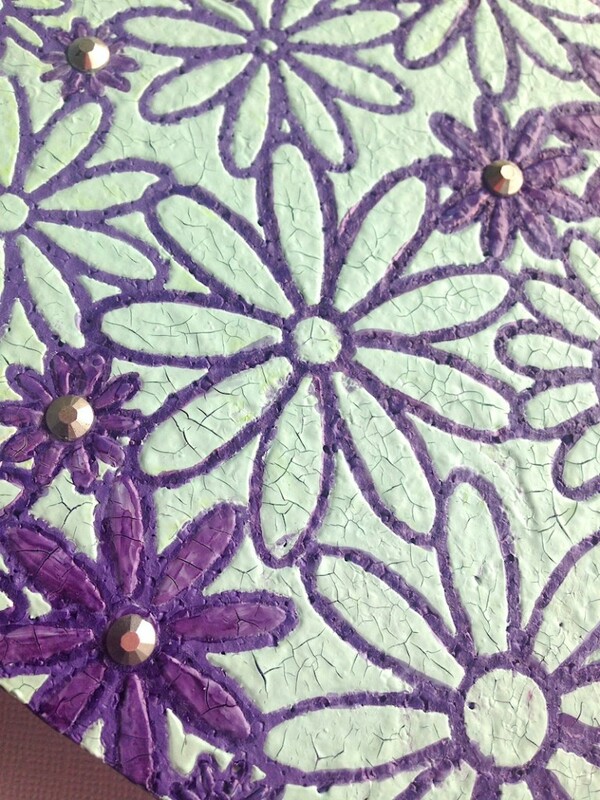 Thanks to Lisa Haney for planting the original seeds for this clay technique. 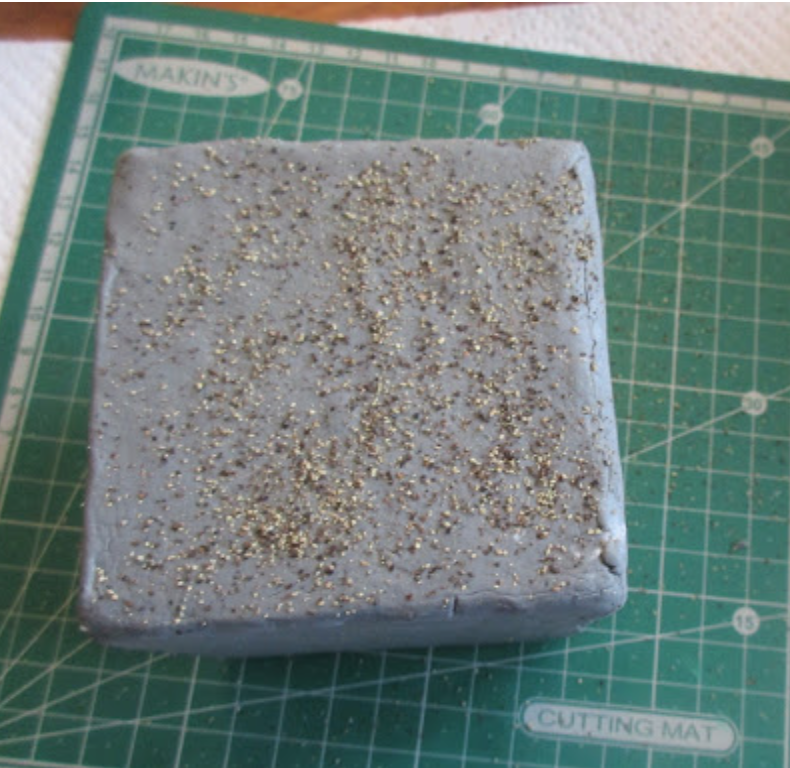 She created faux stone with Makin’s Clay and pepper, and I took it a step further to create faux concrete! Mix 120g of White Makin’s Clay with Relic Chalky Finish Paint until thoroughly mixed. The chalky finish paint has a drier overall feel and texture, so when mixed with the clay, the result really does feel a bit like concrete or terra cotta. Add about 1 tbsp. of pepper. Mix thoroughly. Roll in Ultimate Clay Machine, starting at setting #1 and stopping at setting #3 (or hand roll to about 1/8″ thick). 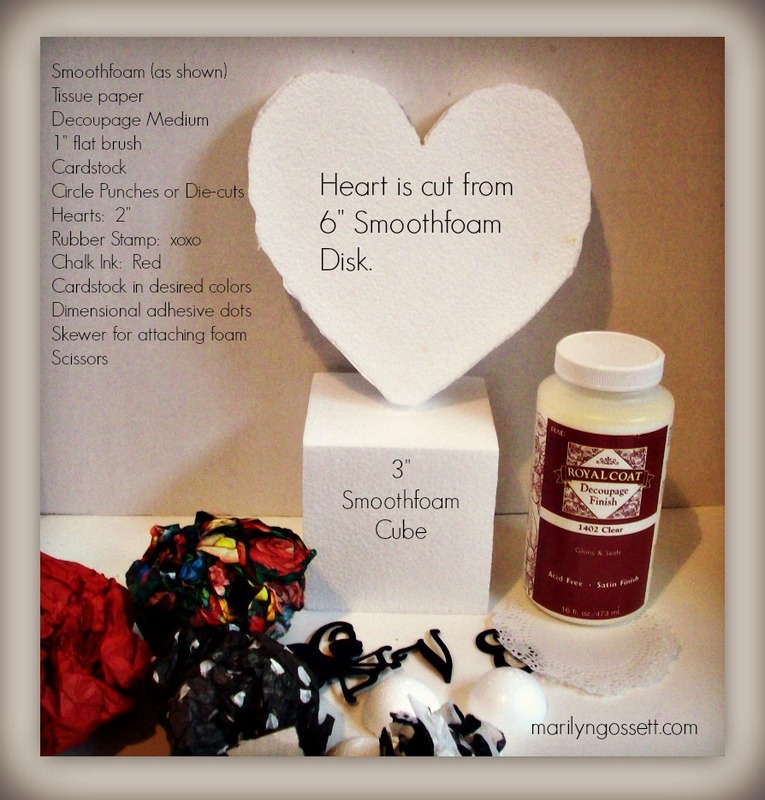 Use the Smoothfoam cube as a template and cut out squares of clay to cover cube. 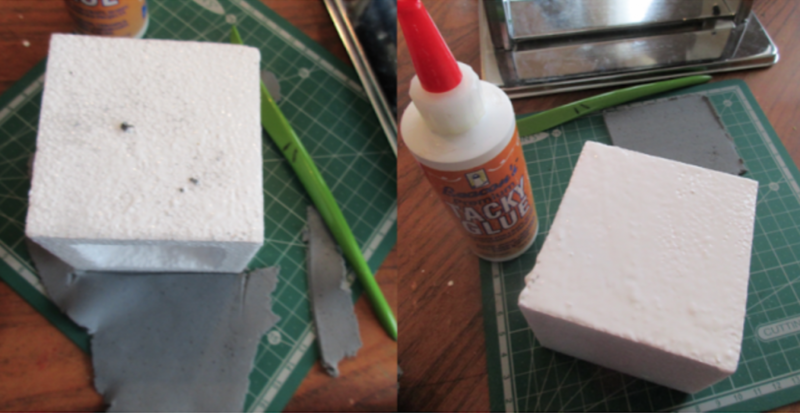 Working on one side at a time, apply tacky glue over the entire surface of each side and place a clay square on top. Press gently to adhere. Move to next side, using fingers to join the sides at each corner, allowing the seams to be imperfect for a more “true concrete” effect. For the top, hollowed-out area, apply tacky glue around edges, then place clay square over, and use your fingers to gently press down in center and adhere the clay around the edge, with remaining clay down in hollowed out area. It does not matter if the clay doesn’t completely covered the hollowed-out area, as it will be covered by spanish moss and the succulent. While the clay is still fresh, sprinkle pepper across each side and press in with your fingers to add texture. Gently brush away excess and repeat on all sides. Let dry for 24 hours. Tie jute twine around the cube. Add the spanish moss and faux succulent. 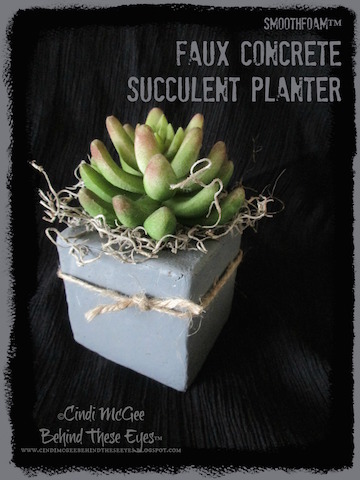 Place the faux concrete succulent planter on your desk or windowsill and begin daydreaming about truly warmer days to come!